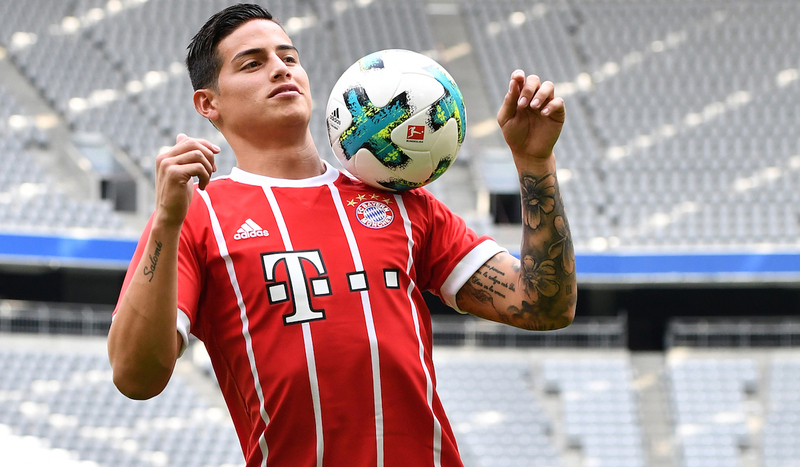 James Rodríguez has had a season to forget in Bayern Munich as he remains sidelined with a nagging injury. Following his impactful contribution in last season’s Bundesliga title-winning run that included a trip to the Champions League semifinals, Rodríguez has denied rumors he is looking to return to former team Real Madrid, saying instead he wants to stay with the German power. James has not had the same success under new Bayern head man Niko Kovač that he enjoyed under Jupp Heynckes a season ago, which has spurred on the conjecture that the Cúcuta man would prefer to return to the Bernabeu. Damage to a knee ligament has kept him out several weeks, though James is expected to be back in the lineup before the new year. James said at the same fan meeting that he would be back in another week or two. In the Bundesliga, Bayern Munich is currently fourth in the league standings and is nine points behind league-leader Borussia Dortmund.